The Rev. Dr. James Reese ’49 has been a student, practitioner, and advocate of racial-ethnic diversity since he began ministry more than 70 years ago. A pastor of three congregations in southern Alabama in the 1950s, he was in Washington, D.C., when Dr. Martin Luther King Jr. delivered his famous “I Have a Dream” speech in the midst of the Civil Rights Movement. Jim is telling his personal story as a pioneer in the racial justice movement during this year’s Alumnae/i Days at PTS. He will share memories of the momentous times that changed our church, our country, and our world forever. Described as “a giant of a man—not in physical stature but in his command of a room or a challenging circumstance,” he isn’t who “you might assume at first glance. He is more,” says a representative from his undergraduate alma mater, Knoxville College. A native of Harrodsburg, Ky., Jim also holds a master of divinity from PTS, a master of education in religious education from the University of Pittsburgh, and an honorary doctor of divinity from Knoxville College. In 2003 Pittsburgh Seminary honored him with the Distinguished Alumnus Award in Specialized Ministry. “He’s done everything,” says PTS alumnae/i director the Rev. Carolyn Cranston ’99. He was first called to be pastor of Trinity UPC and Miller’s Ferry PC in Alabama. Next, he served as pastor of First UPC on the campus of Knoxville College. While there, an academic sabbatical allowed him to serve as professor of homiletics in Kenya; upon his return, he agreed to serve as the Christian education consultant for the Synod of Catawba in Charlotte, N.C. Prior to his “retirement” in 1993, Jim worked at the PC(USA)’s General Assembly Office for decades in a number of progressively responsible positions, his last one as director of the Racial Ethnic Ministry Unit. He also served for six years on the General Assembly’s Peacemaking Committee, including time as its chairman. Since retiring, Jim has held nearly as many prestigious positions as he did previously, including service (in his 80s!) as interim executive presbyter for the presbyteries of New York City, Detroit, and Newark. At age 93, he “re-retired” as supply pastor for Philadelphia’s Germantown Community PC. Known as an outstanding preacher, Jim is still often called on to preach at events and programs—and travels across the country to do so! But Jim’s ministry doesn’t begin and end in the pulpit or at the podium. 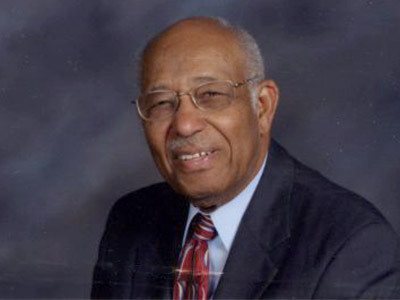 He’s served as chair of Knoxville College’s board of trustees (of which he is now chairman emeritus) and its Peacemaking Advisory Committee; as a member of the board of the Presbyterian Historical Society and the National Black Presbyterian Caucus; and a life member of the NAACP. Not surprisingly, he’s received multiple awards in recognition of his service in ministry: the Edler G. Hawkins Award from the National Black Presbyterian Caucus; the Lucy Craft Laney Award from the Black Presbyterian Women’s Association; and the Maggie Kuhn Award from Presbyterian Senior Services.